The National Youth Development Agency (NYDA) today, celebrated International Women’s Day 2015 by conferring the Pan Africa Youth Union (PYU) International Peace Award to the Minister of International Relational and Cooperation (Dirco), Maite Nkoana Mashabane. The Peace Award represents the highest award of the PYU and was conferred to both President Jacob Zuma and the Minister Maite Nkoana-Mashabane for their ongoing commitment to youth development and the empowerment of females on the continent. Forming part of a continuing campaign launched by the African Union entitled, ‘Make Peace Happen’, the Peace Award recognises contributors from government, civil society, arts and culture who have acted as champions for peace on the African continent. 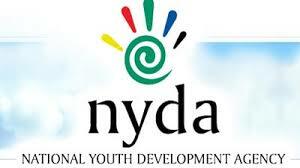 The NYDA hosted the 4th Pan African Youth Congress in November 2014 at which time a new President of the organisation was elected. Ms. Francine Lumunya, of the Democratic Republic of Congo was duly elected and has since taken over from Yershen Pillay to lead the youth of Africa. What wonderful motivation for the Women of Africa –keep making a difference in your own way and the results will be seen.